Homecoming is an exciting week-long celebration for the current student body, faculty and staff, families, friends, and alumni of Incarnate Word Academy. Throughout the week, there will be school spirit days, pep rallies, festivities with food and entertainment, the traditional Burning of the "A" Ceremony, an Alumni vs. Alumni Basketball Game, and a varsity basketball games! Join us for IWA’s biggest alumni event of the year from November 15-18, 2018! The Alumni Homecoming Reunion Weekend is a great time to reunite to celebrate your lifelong bonds with alumni and the school! 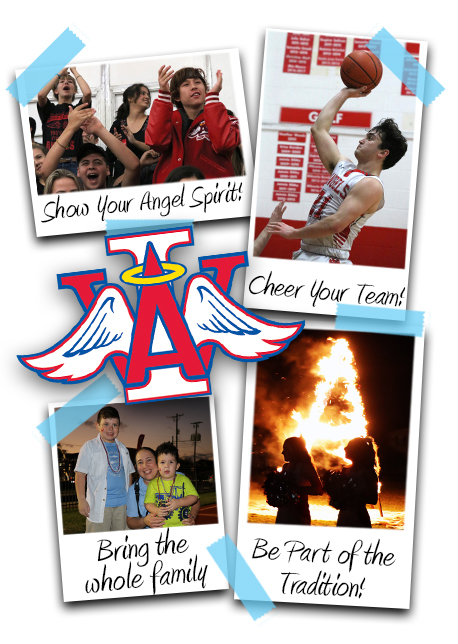 Not only do you get to reconnect with your classmates and other Angels, but you get to see school spirit in action, on campus! Click here to learn more. Elementary, Middle, and High School Level families, faculty, and staff are invited to attend. *This event is for High School Level students only.